"The first cup caresses my dry lips and throat. The fifth relaxes my muscles and my bones become light. As I make my way to Penglai." It is a common human weakness to bemoan the modern world, and people have been doing it since the beginning of recorded history. In the 4th century BCE, Socrates famously complained how ill-mannered young people had become, and how they "love chatter in place of exercise … contradict their parents … tyrannise their teachers" and so on. A couple of hundred years later, as we have seen, the Yellow Emperor's Inner Classic was complaining that people no longer knew how to live properly and that's why they became decrepit in their 50s. I am not ashamed to be in such esteemed company, however, and will therefore indulge in a complaint about what has happened to tea drinking. Everywhere that tea used to be drunk, it was accompanied by some kind of ritual. 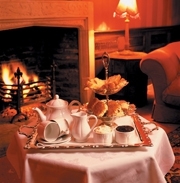 It could be in the British style with the singing kettle, the warming of the pot, the requisite waiting for the tea to brew, and the tea set – humble and plain or elegant silver and bone china, with perhaps some neatly trimmed sandwiches and a cake or two by the side. It could be served on a brass tray under a tree in the Middle East or by a camp fire in the desert night, at a scrubbed farmhouse kitchen table, in a chandeliered drawing room or a simple Japanese tea house. Tea signified a pause in the busy day, a coming together and a chance to converse. 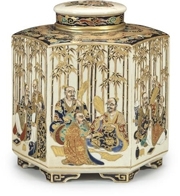 And always at the centre, that symbol of tea pleasure, the pot filled with slowly unfolding leaves of tea. This all changed with the spread of the tea bag. Individualised rather than shared, rushed, taken on the hoof, without even considering the need for the tea to brew properly. How distant this is from the almost impossibly refined tea drinking of ancient China. Seemingly blessed with ample time, tea aficionados discussed the virtues of the different kinds of water that could be used for making tea. These included sky waters (rain, snow, hail, frost and dew), earth waters (spring, river, cave and well) and more. 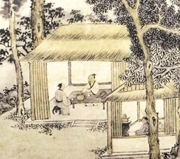 And this was before they considered the best materials for the fire, the hundreds of kinds and grades of tea, and the elaborate ritual of making and drinking it (Lu Yu listed twenty eight essential items). All this may seem rather self-indulgent but the essence of it – that we can allow ourselves moments of quietness in our busy lives, can return to small everyday ceremonies, can enhance our enjoyment by paying attention to the moment – is surely a good thing. "Solitary sipping is called peaceful; two guests are called elegant; three to four people are called a delight; five to six people are called common; seven to eight people are called depraved."